Having twins is like having competitions since birth. From parents to relative to friends everyone seems to end up comparing the two. If one is excelling in studies the other one is supposed to display the same commitment. If one is athletic then why not the other. The human psyche for no doubt is all complicated and one cannot understand why such comparisons are raised. Where having twins is something beyond human control, having twin mobile is pretty much under human control. It’s just surprising to see how both Apple and Google have launched their recent phones in pair. Apple to say went with iPhone 7 and iPhone 7 Plus, only having slight differences in features and specifications. Be it the Apple iPhone there are only paltry differences and nothing big. Let’s have a closer look. Obviously there is not much to speak about here. This is not a comparison of Samsung and Apple where one needs to decide between Android and iOS. This is as plain and simple as it could be, both the iPhone 7 and 7 Plus run on the same software, iOS 10. The all new iOS 10 is a direct contributor to the price of Apple iPhone 7, making the phone stand in the league of advance software phones. How to: Find The Best Mobile Phone Device for You? One of the key area of difference happens to be none other than the camera. Probably this is the only aspect that helps you understand they are two different sets in all. Apple iPhone 7 features single 12-megapixel camera with an aperture of f/1.8, while its big brother 7 Plus comes with a 12-megapixel rear camera with a f/1.8 aperture. The first camera is a wide angle lens while the secondary camera is a telephoto with an f/2.8 aperture. This means you can now easily zoom twice the times where your digital zoom is ten times. The iPhone 7 is only capable of zooming five times within digital capacity. Furthermore, iPhone 7 Plus would also enjoy updates later while the smaller one, iPhone 7 would remain all the same. Aside from that, both the iPhone 7 and iPhone 7 Plus feature the same functionality. They both have optical image stabilization, something only the Plus has had in the past, and they both have a new Quad-LED True Tone flash. They also offer wide color capture, body and face detection and 4K video recording. 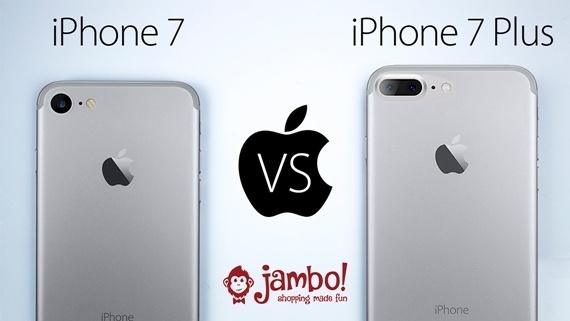 Obviously there is supposed to be some sort of difference among iPhone 7 and 7 Plus, otherwise what’s the Plus after all for. The main upsizing, one that reflects in Plus comes from Hardware as well. The Apple’s 7 and iPhone 7 Plus price, features, and specifications are amazing and both come with the new A10 Fusion processor with an embedded M10 motion co-processor under their hoods. The storage options are also the same with 32GB, 128GB and 256GB. The battery capacity is much better when it comes to iPhone 7 Plus, with up to 21 hours of 3G talk time, compared to the iPhone 7's 14 hours, but aside from that, they both offer the same hardware. The iPhone 7 and iPhone 7 Plus have Bluetooth 4.2, Wi-Fi 802.11a/b/g/n/ac, LTE Advanced up to 450 Mbps, and support for Apple Pay. They also both have the second-generation of the Touch ID fingerprint sensor within their Home buttons. To conclude, there is not much of a difference among both iPhone 7’s that are even in their specs and features at all – we used to experience the same with all the latest mobile prices in Pakistan that are recently launched. The twins as we call them have slighter differences here and there but majorly remain the same. 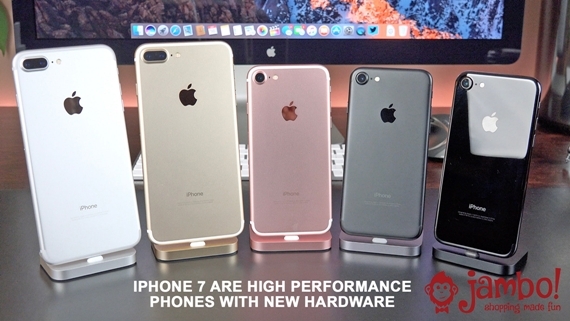 From color themes to processors and from hardware to camera there happens to be few limited areas that really make the iPhone 7 and 7 Plus differ from each other. To say, last but never the least a major difference among iPhone pair is that of the price. Apple has been smart enough to play with the variations, a fact that is quite evident in the price of Apple iPhone 7. And if you are a Pakistani customer, still waiting for the sets to arrive in the market you may find some bubble quotes, all because the Apple iPhone 7 price in Pakistan is flying crazy. About the Author: Ozair Akhtar is a passionate tech writer who wrote this very informative post for our blog.